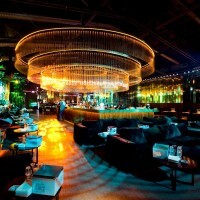 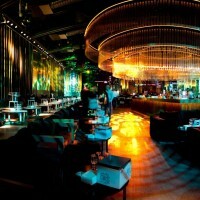 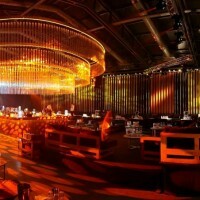 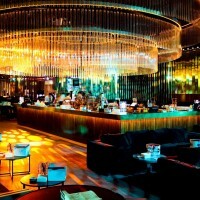 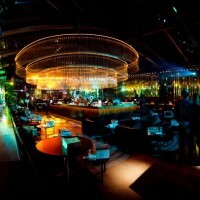 Romanian design firm Twins Studio designed the Fratelli Studios club in Bucharest, Romania. 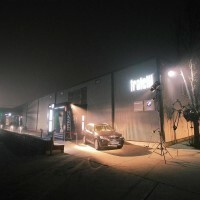 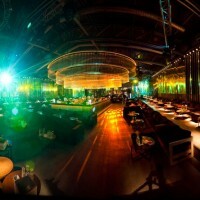 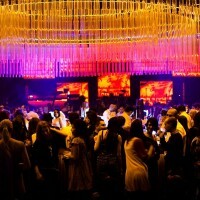 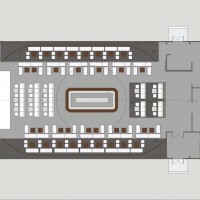 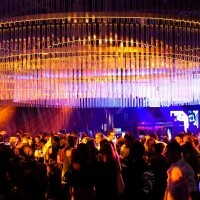 Fratelli Studios is a club in Bucharest of about 850sqm. 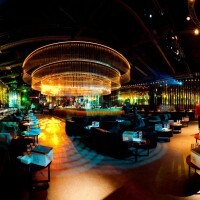 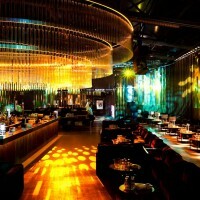 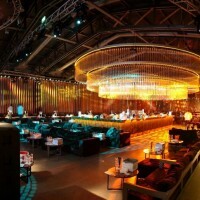 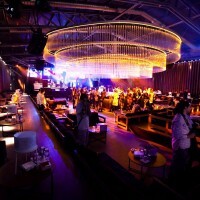 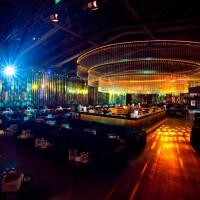 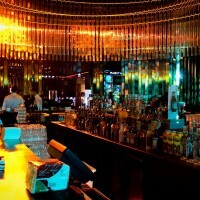 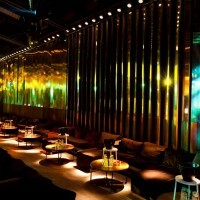 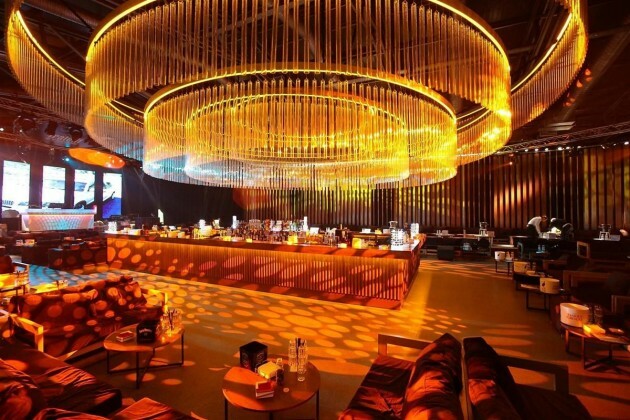 The club is designed in an industrial, factory-like building, with large metallic pillars and metal beams. 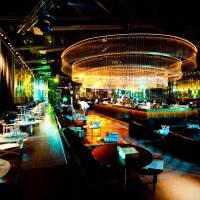 Our main idea for this club was “Think Big!”. 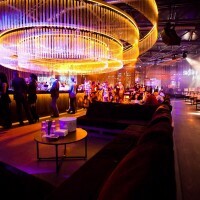 We covered the interior walls with a series of large wooden blades, about 4 meters tall, which can be rotated along their central axis. 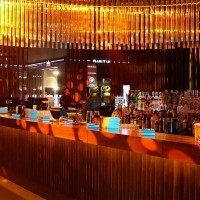 One side is lacquered wood, while the other can be covered with printed material. 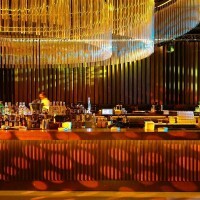 You can rotate the blades very easily, changing the whole look is just minutes. 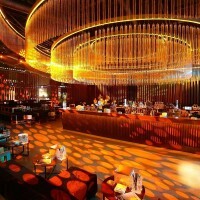 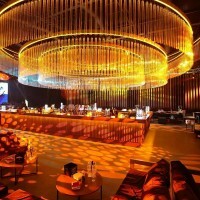 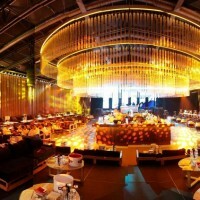 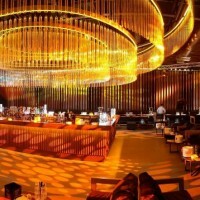 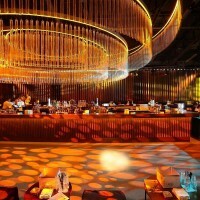 We placed a wooden bar in the center and a large 4 rings chandelier above it. 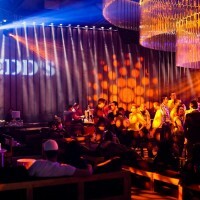 Visit the Twins Studio website – here.